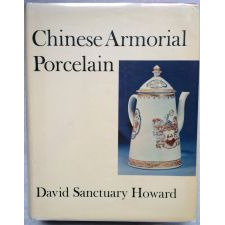 Chinese Armorial Porcelain by David Sanctuary Howard is the first of what is to date two volumes that serve as a catalogue raisonne of known Armorial chinese export porcelain. 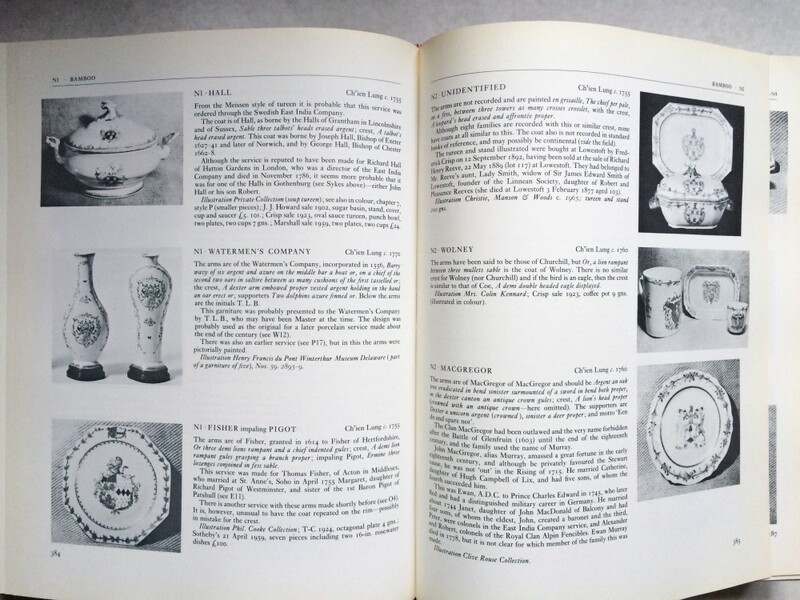 There has been a rumor of a third volume for years, but so far, this remains a rumor. 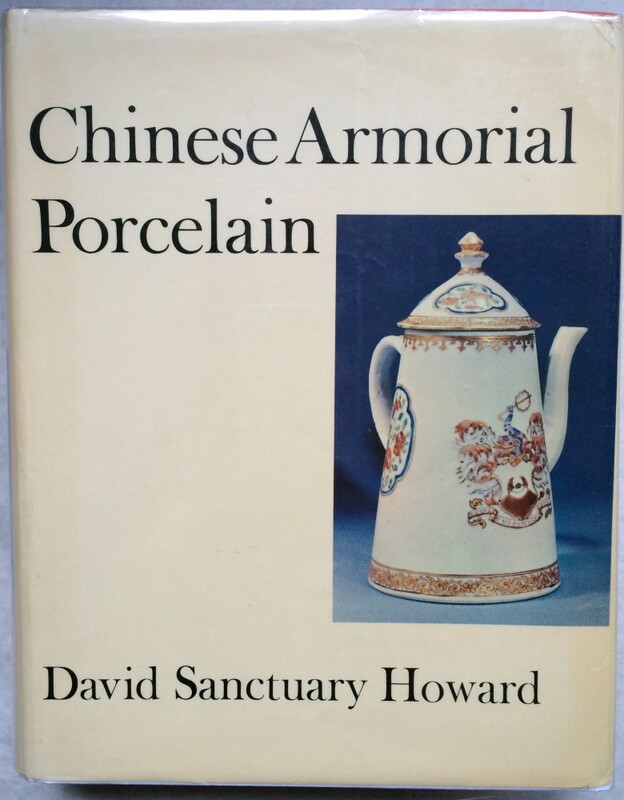 Hardcover with dustjacket in Very Fine/As New condition. 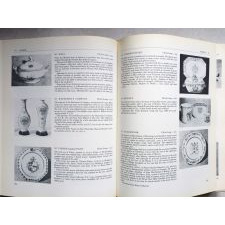 At 1033pp and with hundreds of black and white photographs this is THE book for indentifying patterns, dates, marks, etc. Truly a researchers dream. Scarce.